… and we must all fight to protect it. 2016 was a powerful year for grassroots organizing around the world. 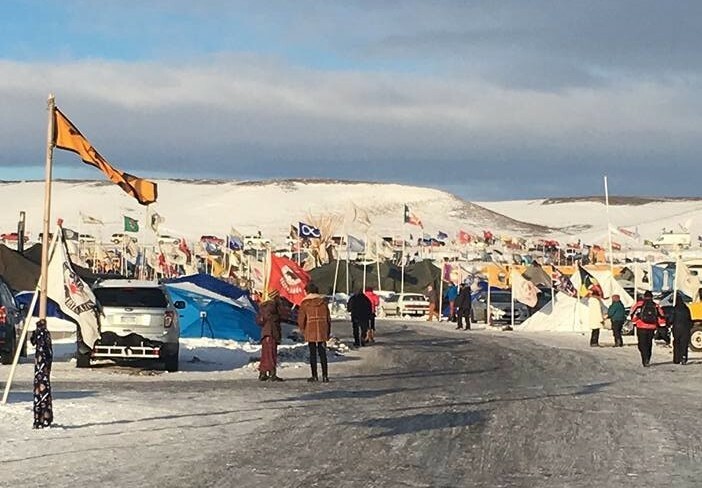 From April 2016 to February 2017, thousands of Native Americans and allies have been camping out in Standing Rock Sioux Reservation in North Dakota to protest against a government-funded, 1,100-mile pipeline over sacred grounds. These water protectors, fighting big oil for our collective human right to access water, were determined to stop the $3.7 billion project that would transport 470,000 barrels of toxic fracked oil a day across four states and the Missouri river, the main water source for the Standing Rock Sioux Tribe. 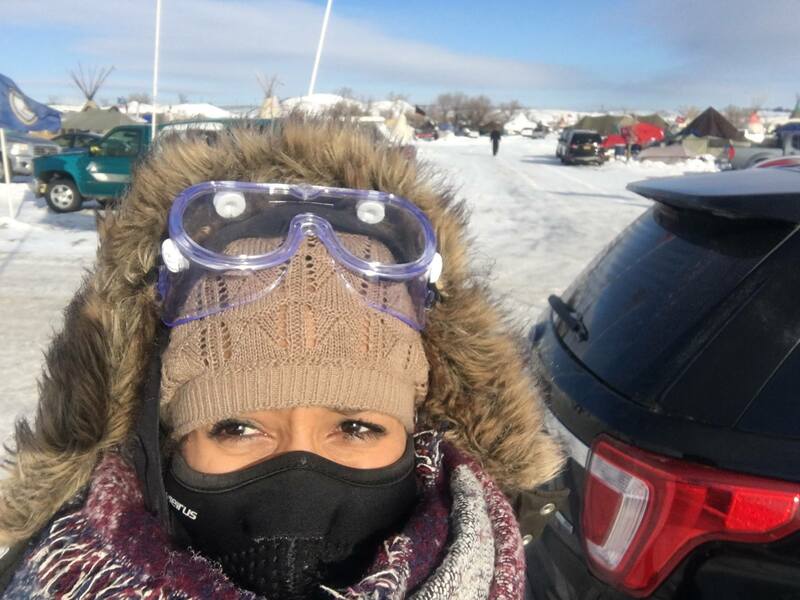 The Black Lives Matter Network, a Thousand Currents partner, traveled to Standing Rock in September and their members have been supporting the efforts in North Dakota ever since. Their goal? To deliver supplies and support the tribes protesting the pipeline’s construction. The delegation to Standing Rock highlights the growing solidarity between Black Lives Matter and Native American activist movements in their common resistance to environmental racism. Indeed, across the United States—from Standing Rock to Flint, Michigan to Richmond, CA—low-income communities of color and indigenous communities have become sacrifice zones for air pollution, water pollution, and toxic hazards. This is also the case for our partners globally, like in South Africa, where our partner the South Durban Community Environmental Alliance (SDCEA) has been fighting for decades. Getting the big news of the government not granting the permit. The energy company will just pay the fines and continue to drill. In early December, as a result of the protests, the Obama Administration said it would look for “alternative routes” for the pipeline. It was a major victory for the movement—but the struggle is far from over. This past year was a big one for Thousand Currents—among our achievements, we were pleased to announce a new global partnership with the Black Lives Matter (BLM) Network. With 37 chapters in the US and 5 chapters outside, #BlackLivesMatter has resonated all over the globe and is expanding. 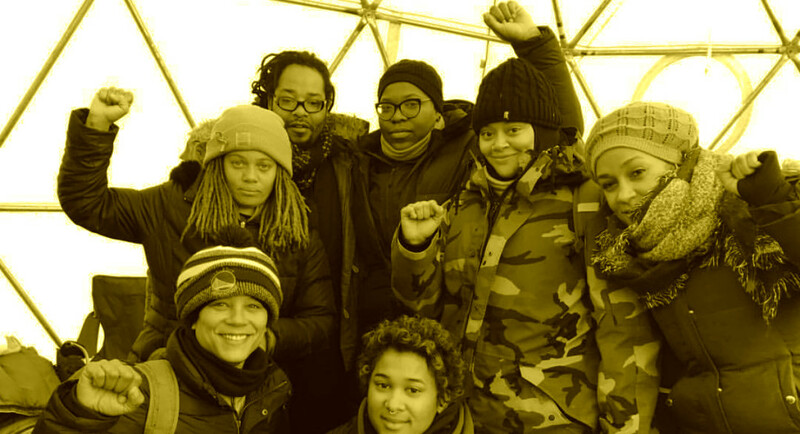 BLM approached Thousand Currents to create this partnership because we have the experience and skills to support BLM as they build solidarity with global organizations and movements. The goal of the partnership is to support one another to promote social change within marginalized communities in the US and globally. Flag road! 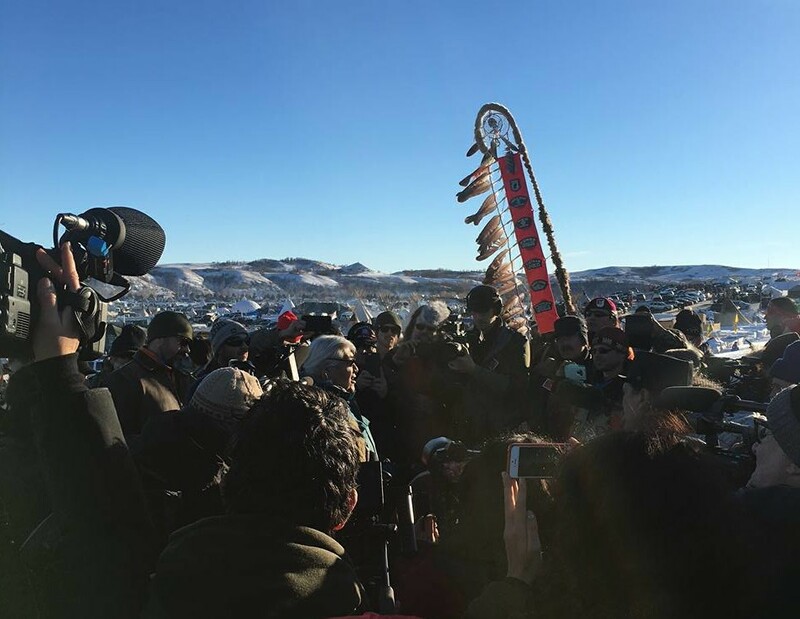 Over 500 tribes have come together in a historic stand for indigenous sovereignty and clean water in North Dakota. A key aspect of the partnership is providing learning exchange and alliance-building opportunities for the BLM Network and Thousand Currents’ grassroots partners in the Global South, especially Africa. Our approach has always reflected the intersectionality of global struggles for social justice. BLM as a natural, necessary ally. “We believe that people’s movements around the world have much to learn from each other and we value our role in connecting them,” says Rajasvini Bhansali, Thousand Currents Executive Director. Black Lives Matter grassroots leadership U.S.